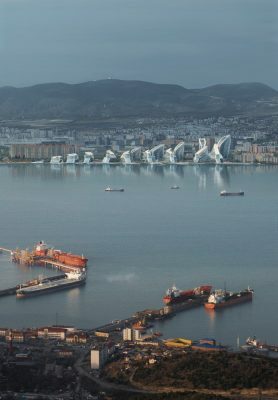 Documented in antiquity as a port specializing in grain, Novorossiysk rich history and traditions as a centre of trade are continued in this masterplan that integrates new public spaces and amenities for the city’s residents and visitors to enjoy the seashore with facilities to host international conferences, trade fairs and business congresses, as well as professional and academic seminars. 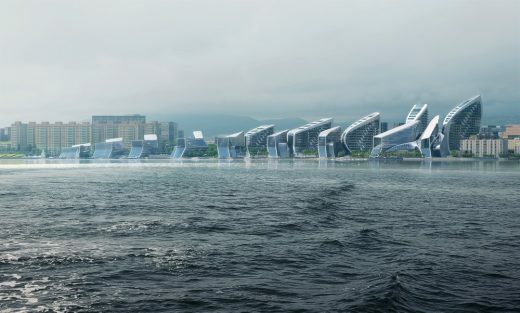 With its buildings orientated perpendicular to the sea front to maintain existing sea views from the city, the masterplan is interwoven with Novorossiysk’s urban fabric in a porous configuration that reconnects the city with its coast, inviting residents and visitors to traverse the site via public plazas, gardens and parks. By restricting vehicular access, the design creates opportunities for outdoor leisure, sports and recreation in the city’s coastal subtropical climate throughout much of the year. 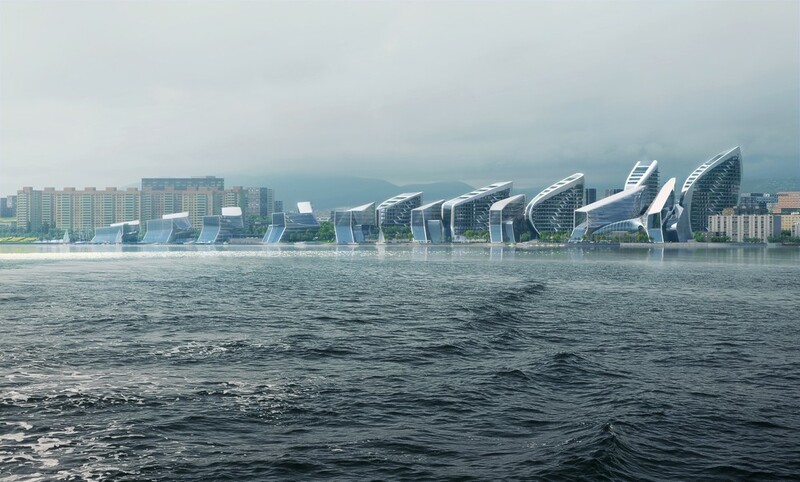 The masterplan unites its recreational, cultural, corporate and ecological functions within a coherent composition that reinstates the city’s embankment promenade as important civic space reflecting Novorossiysk’s maritime heritage. 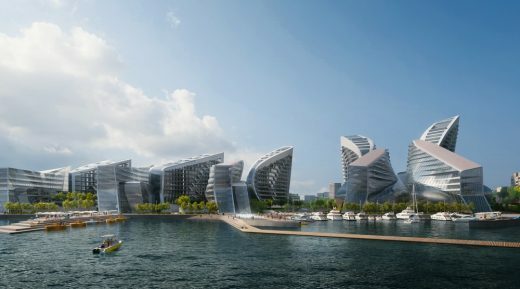 A new fishing port, marina and piers are integral to the masterplan, enabling residents and visitors to enjoy the seashore on which the city was founded. The 13.9-hectare masterplan is a phased development of nine principal buildings with a total floor area of approximately 300,000 square metres. Applying the concept of ‘instancing’ in which nine iterations of a single form evolve in a gradient across the site, the configuration of each building is established according its unique function, conditions and requirements. As with time-lapse photography capturing nine instances of its subject over a period of time, this evolution sequence becomes the masterplan itself. 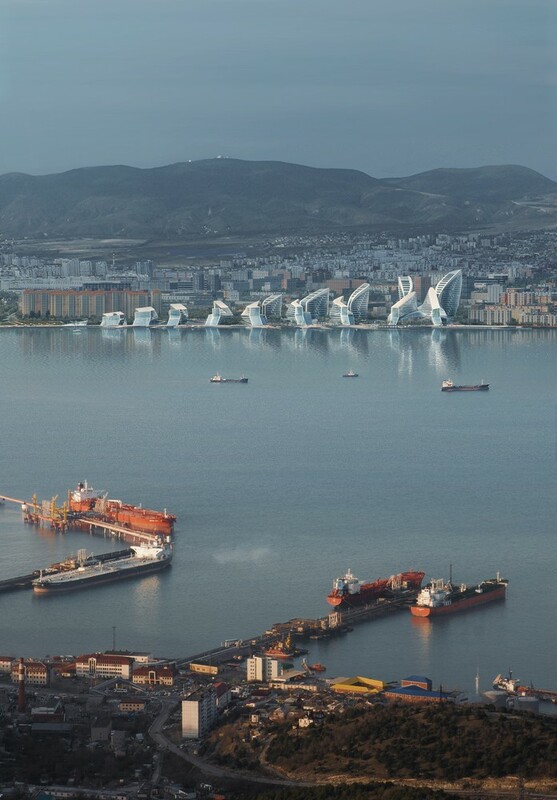 The digital computational model developed for this masterplan in Novorossiysk performs as an urban planning tool analysing many different programmatic, environmental and socio-economic conditions to define the new buildings within the masterplan. 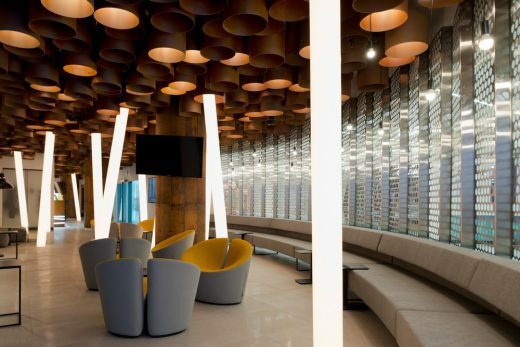 All nine buildings are informed by this digital model that simultaneously considers multiple iterations including programme, orientation, environment, height and volume. 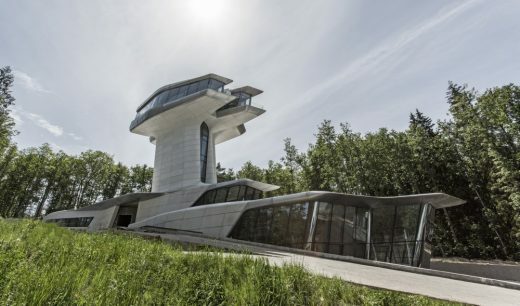 This parametric model enables designers and stakeholders to accommodate the functional, economic and other time-related fluctuations that influence each new phase of development while also maintaining the overriding architectural vision. 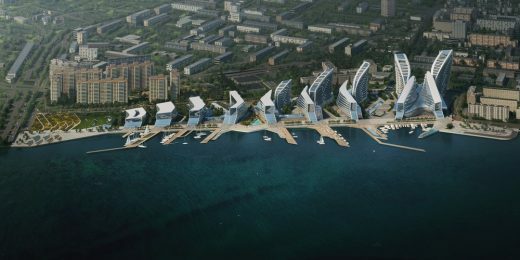 The masterplan’s first phase will include facilities for civic, cultural and corporate events as well as the hotel; signalling the restoration of the city’s waterfront on Tsemes Bay as a vibrant public space for Novorossiysk’s residents and visitors. More than 40 teams from 13 countries took part in the competition. 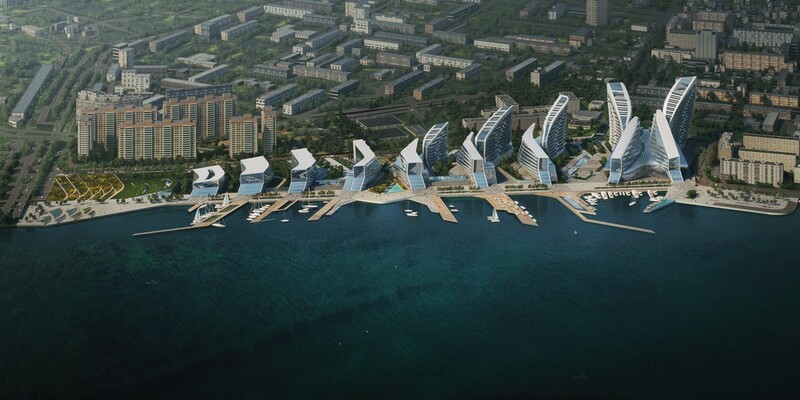 The jury included local and national architects, urban planners and economists together with representatives of the Novorossiysk administrative region. 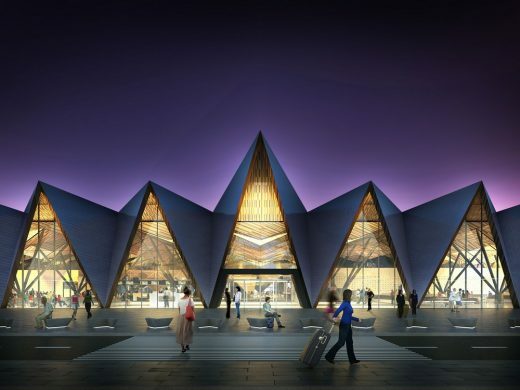 Construction of the masterplan’s first phase is due to start in the second half of 2019.